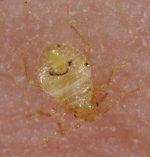 Help Make Bed Bug Answers Great! Help me focus on the improvements that are most important. Please Note: Fields followed by an asterisk must be filled in. Everything else is optional. 4. Any further comments/ideas to help me improve the site? Thanks! Please enter your email address below so I can send you the updated BED BUG CRASH COURSE as soon as I finish it.